Infrared infused steam shower – revitalize the life of your skin. 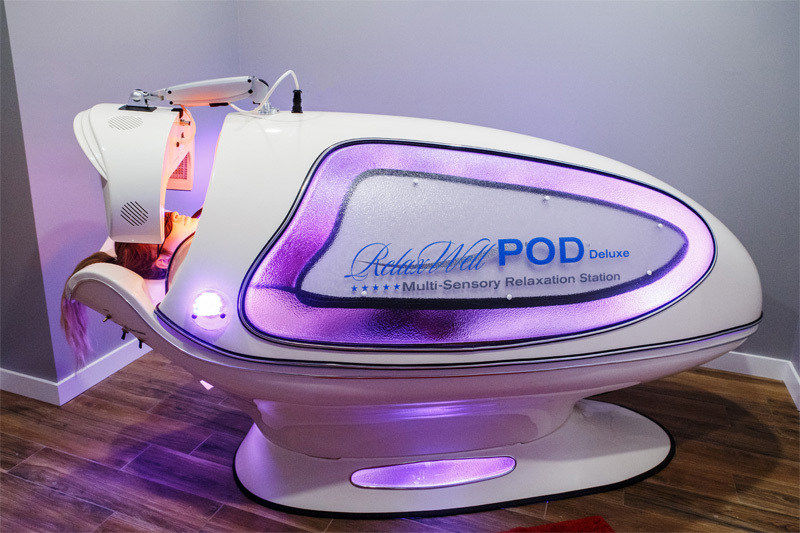 The Jet POD produces an overwhelmingly relaxing sensory experience and feeling of total well-being. 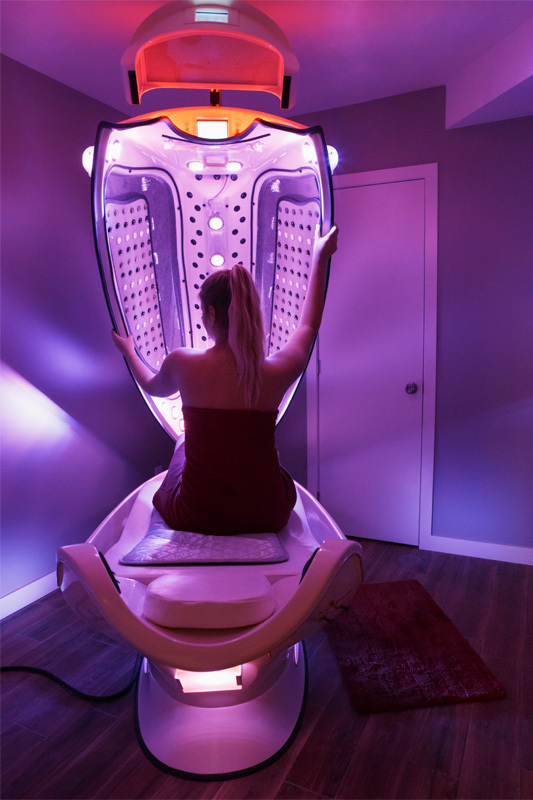 Infrared heat (IR) with vitamin-infused steam, liquid nutrients & optimal enriched air to create a nourishing rain forest-like atmosphere your skin will love. A vigorous 30min aquatic treatment designed to help rid the body of toxins while providing a relaxing, therapeutic experience. A stimulating aquatic treatment that refreshes and revives: 25min of relaxation, designed to lift your spirits. Treat your skin and body to a much needed dose of hydration: Let the jets soothe you while the steam & aloe absorb for maximum hydration. Stimulate your senses with a 25min treatment guaranteed to lift and awaken you: warm and cool jets stimulate and soothe the skin and body, while steam encompasses you. Infrared conditioning for enhanced wellness, relaxation, health & fitness. 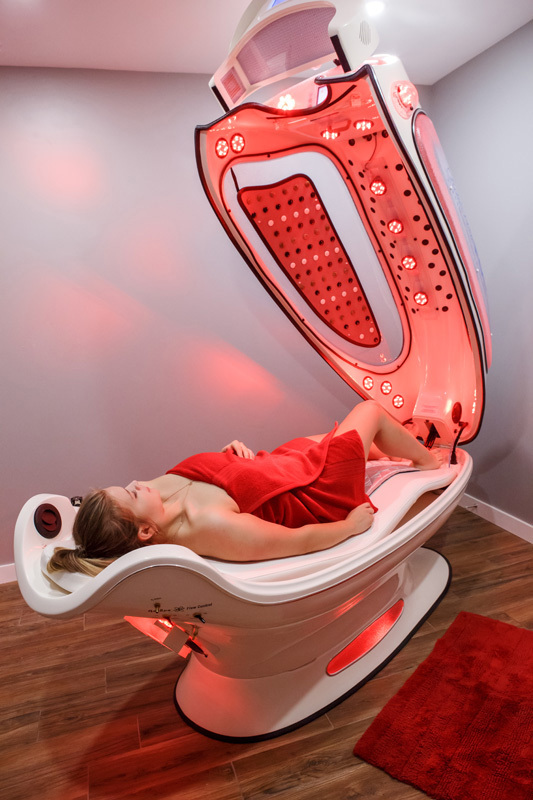 The IR POD combines both dry heated air and infrared heat in a powerful vortex for wellness, hyperthermic fitness conditioning and enhanced wellness. High heat and vibrations make this treatment idea for assistance in shedding that extra body weight after your workout, or on its own. Lift your spirits with 30 min of bliss. Allow the treatment to take you somewhere warm and breezy without leaving the city. A beautifying treatment to help detoxify the skin and soothe the body all at once. High vibrations coupled with an invigorating blend of oils and lights make this ideal at stimulating the mind and body pre or post workout.